I don’t normally look up good restaurants or must-eat delicacies when I go on trips to new places, something I think I must do on my next travels because I miss a lot of opportunities to try out good food. Most of the time, I usually just eat at places nearby places tourists spots, and this is what we did when we went to Albay. I later found out after the trip that some of the places that we went to were quite popular. This would be sort of a mini review of some of the places we dined at and interesting grubs we sampled. It was close to dusk when we set foot at Albay and we were hoping to see some sights on the way so we grabbed a tricycle to Embarcadero hoping to see something awesome and this is where we also felt our stomach grumble that prompted us to look for the most accessible place to eat. It was the colorful and nautical vibe of Bigg’s Diner that caught our attention. The first floor of the place was packed at that time so we thought that the food here must be really good! 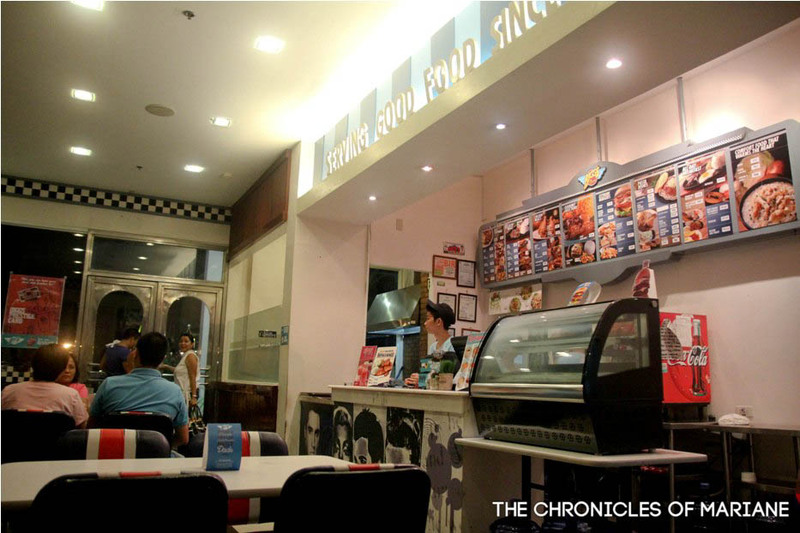 The place had this Vintage American atmosphere, with red, white and blue colors standing out, old memorabilia decorating its walls and paintings of various celebrities who were famous in 50s and 60s. I think their menu consisted of 95% meat dishes, mostly American favorites such as burgers, pasta, sandwiches and steak. 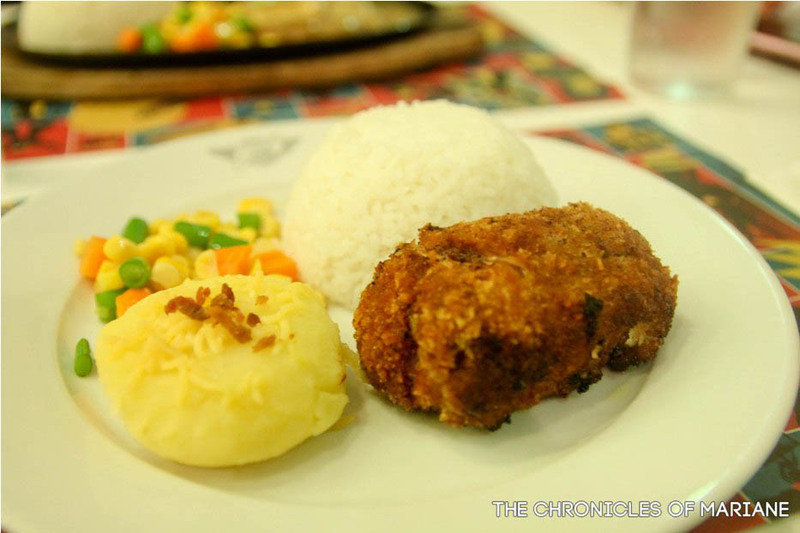 I ordered Pork Cordon Bleu because it has been a while since I’ve eaten one. It came with mashed potato and mixed vegetables. I couldn’t remember anything bad about it aside from the meat tasting really dry. Nothing good about it and for 160 pesos, it was a bit overpriced. My sister ordered Salisbury Steak, I wasn’t able to try it but she said it was pretty good. I had high expectations of this place because I saw some of its branches when going around Albay and Camarines Sur and every time we passed by, there were always lots of customers. After some disappointment from not seeing the full grandeur of Mt. 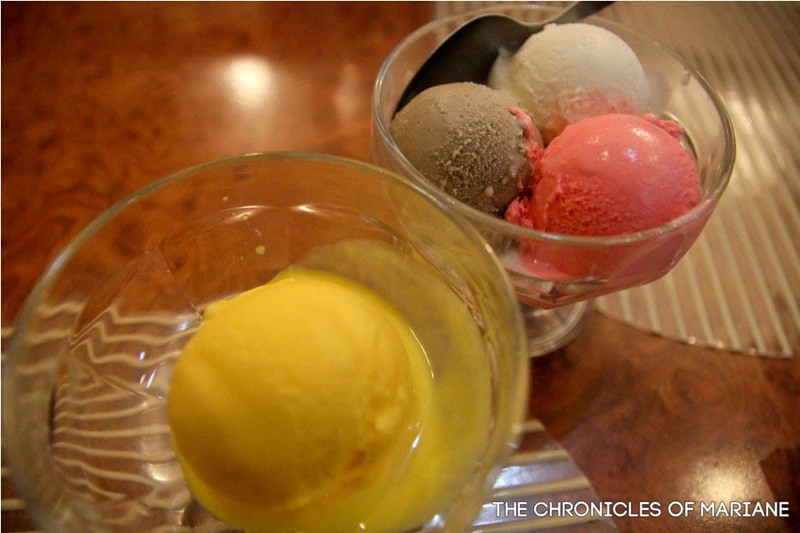 Mayon, we decided to take a break and try some of the most-talked about desserts of Legazpi on the Philippine blogosphere. My sister need no convincing that 1st Colonial Grill will be our next stop. 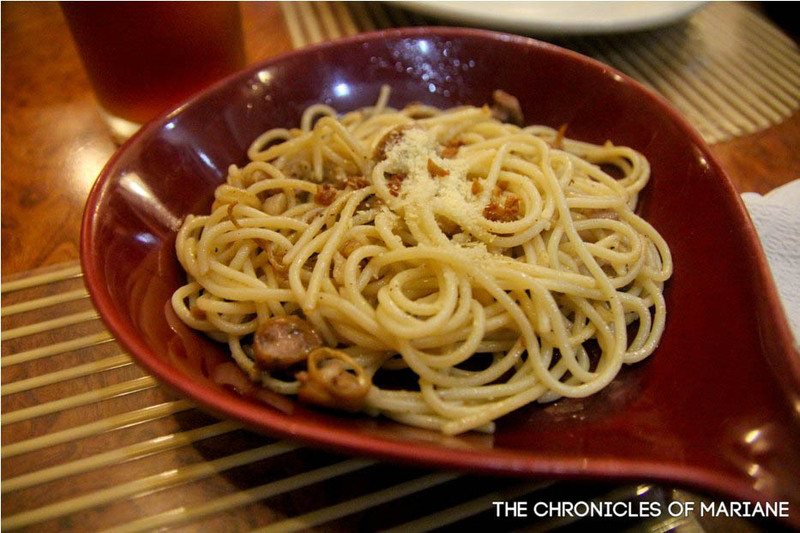 We didn’t really have an appetite to have a proper meal so we just decided to share and sample their Pasta Bicolana, because we got curious thanks to its catchy name. Some of the dishes from their menu looked appetizing like Tinapa Rice and Buko Chopsuey. We are a big fan of desserts, most especially ice cream (my friends can attest to this :))! So, we were really eager to try out some of their unique ice cream flavors, I think it took us about ten minutes to finally choose which one to get because of our limited budget, but we eventually picked the Kalamansi flavor and Homemade Ice Cream which was a scoop of three different flavors: sili (chili), malunggay (moringa) and tinutong (burnt rice). 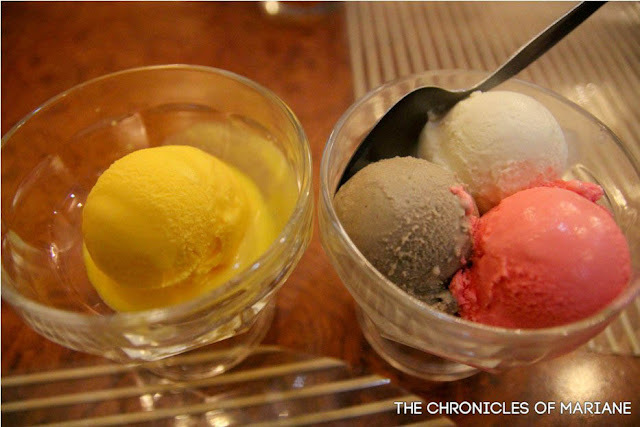 I am a big fan of anything sour; sinigang, NERDS candy, green mangoes, so I may be a bit biased with the Kalamansi ice cream. It just had the right amount of sourness in it and it wouldn’t really put you off. Some people might not like this type of taste for their desserts though, but I like citrus flavors so it was a big hit for me. I couldn’t really remember how the malunggay tasted like so I guess it was just so-so. Sili ice cream came as a bit of a surprise, I expected that I will not like it because I hate mint and spicy flavors on my sweets but I liked this one! It was sweet at first but just like the movie The Sixth Sense, the ending or aftertaste will hit you hard, the spiciness will hit your taste buds unexpectedly! The tinutong flavor had this crunchy texture and my sister and I agreed that this was our favorite from this set. I really hope I can go back here next time and try pili ice cream, well, because, nuts! 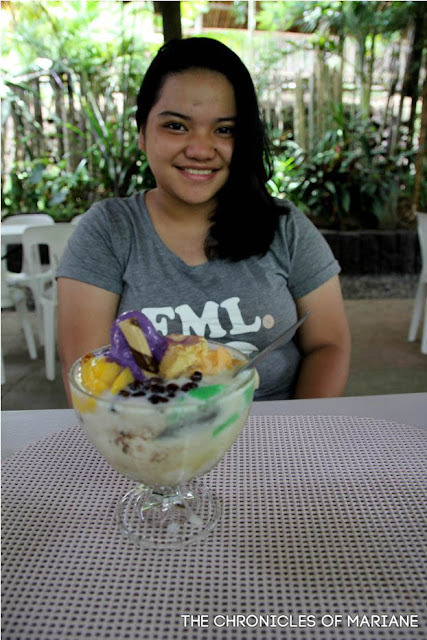 A bad decision to try write this blog entry, now I am craving for calamansi and tutong ice cream! For our last day, we went to Ligao and hiked our way up Kawa Kawa Hill. On our way back to the main road, we decided to stop by La Terraza for some much needed refreshments. I can’t remember why we didn’t order any food and only tried desserts (again!) even though we were a bit famished at that point. Anyway, we tried their unique version of halo halo and a green mango shake for me. 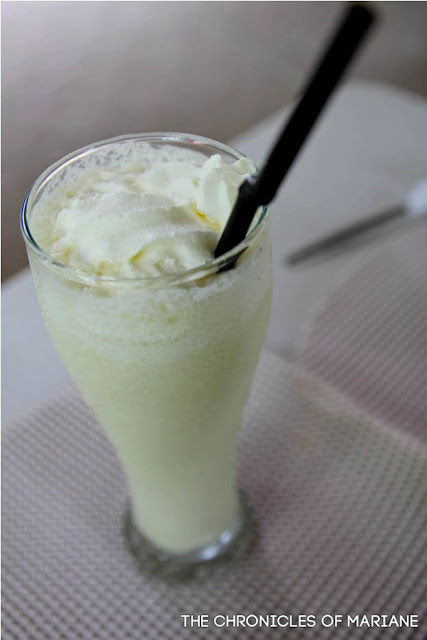 The green mango shake was a winner for me, because of course, it was sour! 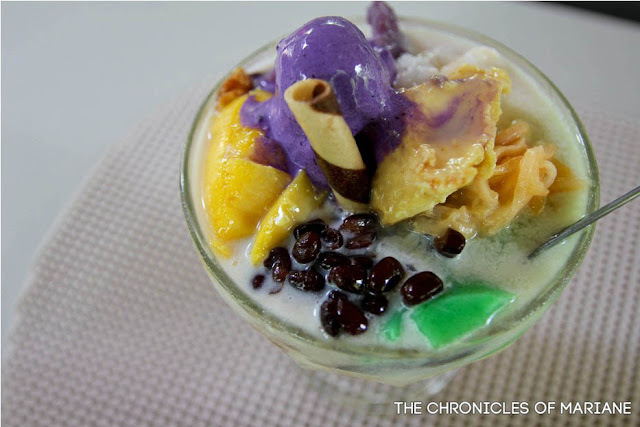 Haha I am probably the only Filipino who doesn’t like halo-halo but I still decided to try this out for the experience. Lots of nice toppings such as langka, and leche flan. The lambanog just gave off a hint of sour aftertaste on the melted ice but that was it. But for the price of 60 pesos, it was still a good choice especially if you are looking for ways to beat the heat after the hike. 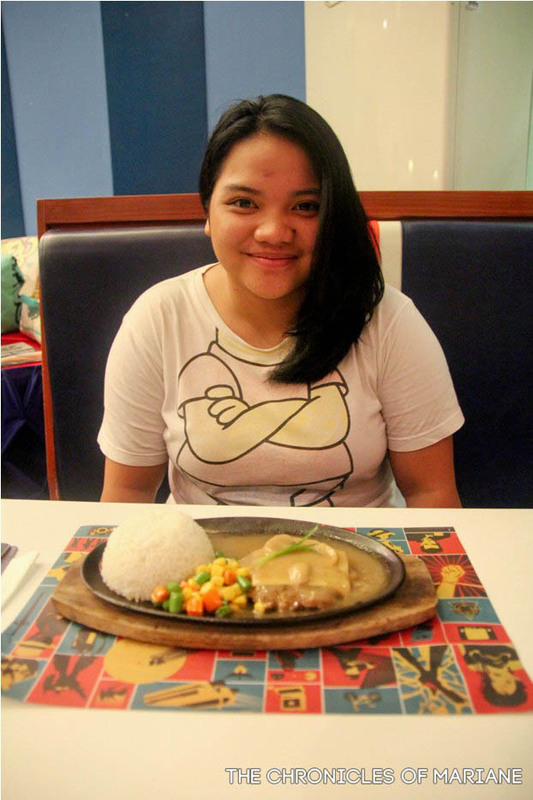 I really regret that we weren’t able to try more dishes because the menu looked promising. I really wished we had more time (and money!) 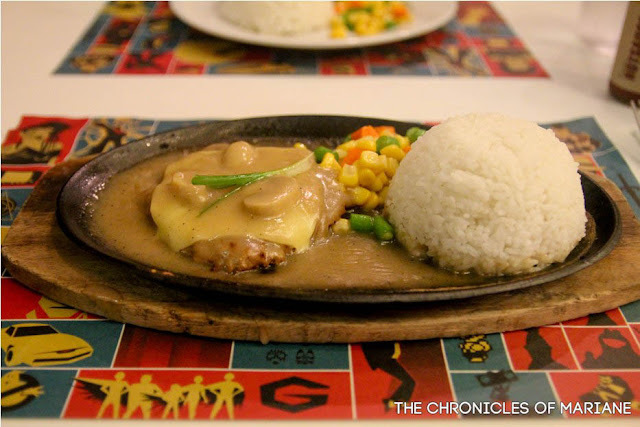 when we went to Albay, I saw some restaurants that looked inviting and hoped I was able to try more dishes. 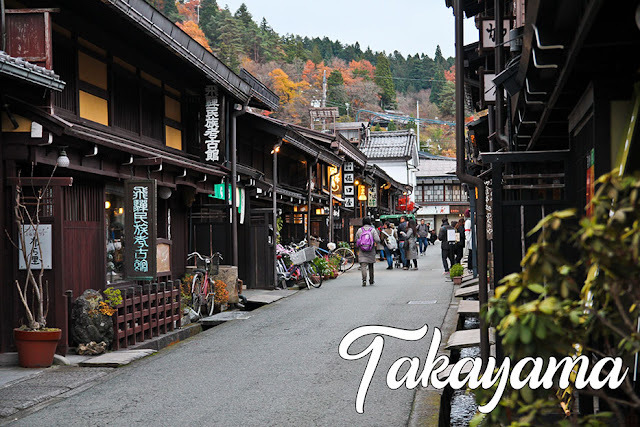 Even though I enjoyed discovering them unexpectedly, on my next trip I plan to do some research and find out more affordable yet good places to eat!